Hygroscopic. Stable under normal temperatures and pressures. Appearance of Manganese sulfate monohydrate from TITAN UNICHEM. Loading of Manganese sulfate monohydrate from TITAN UNICHEM. Manganese sulfate is odorless pale red slightly efflorescent crystals or light pink powder. 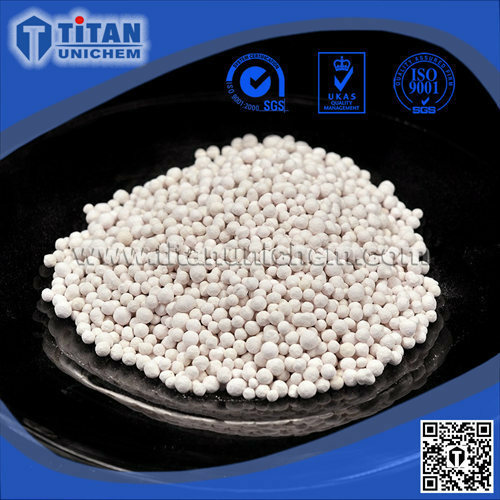 It has good liquidity and been widely used in metallurgy, chemical and agriculture fields. It is the raw materials of Fertilizer, feed additives, maneb and mancozeb. The 5% solution pH is 3.7 approximately. Manganese sulfate is used as a element fertilizer additive and as a catalyst. Manganese sulfate is used as a nutrient and dietary supplement. 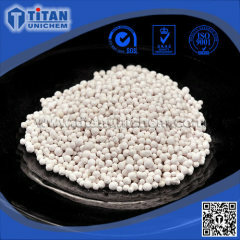 Manganese sulfate could be used in ore flotation, as a catalyst in viscose process and in synthetic manganese dioxide. Manganese sulfate can be used as reducing agent for manufacturing paints, varnish driers. Also used in textile dyes, fungicides, medicines and ceramics.